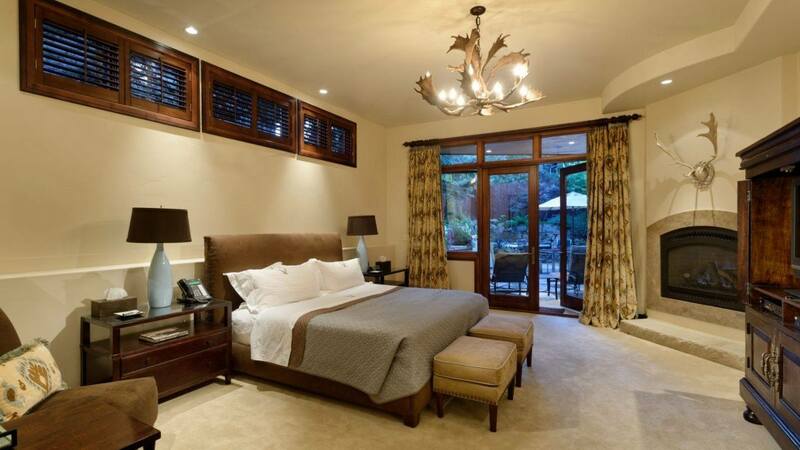 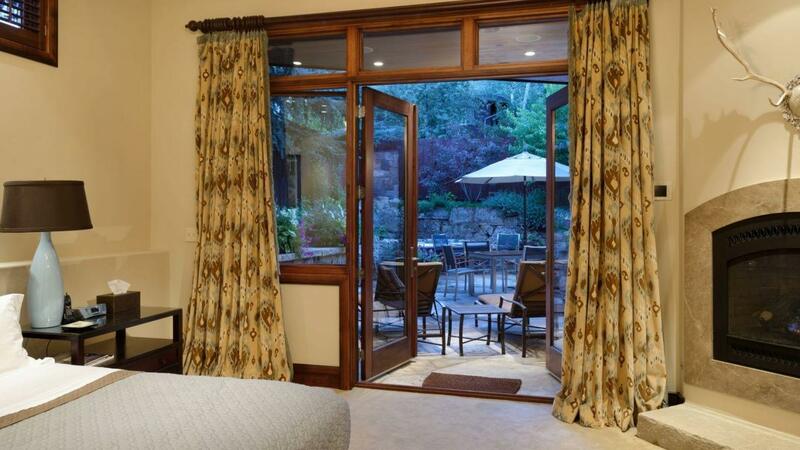 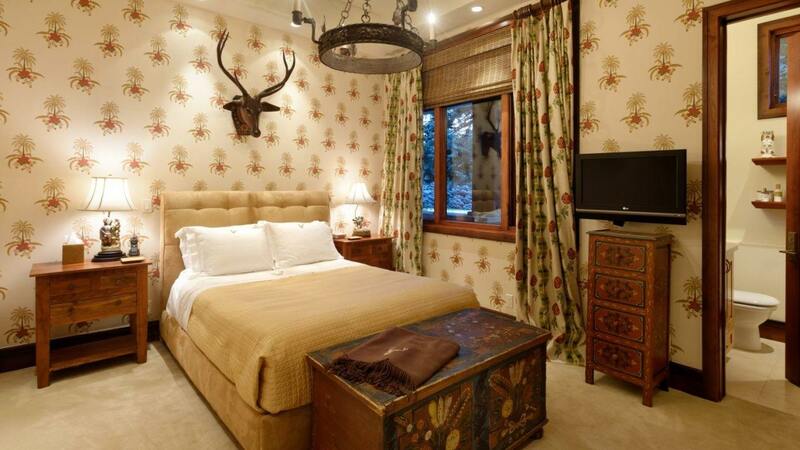 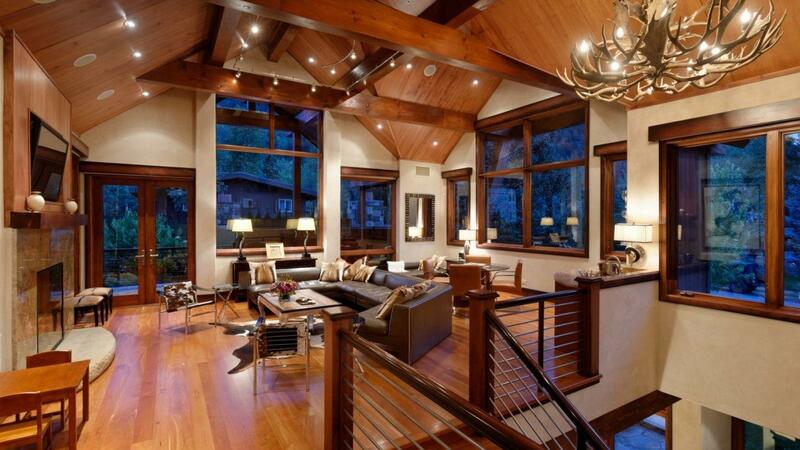 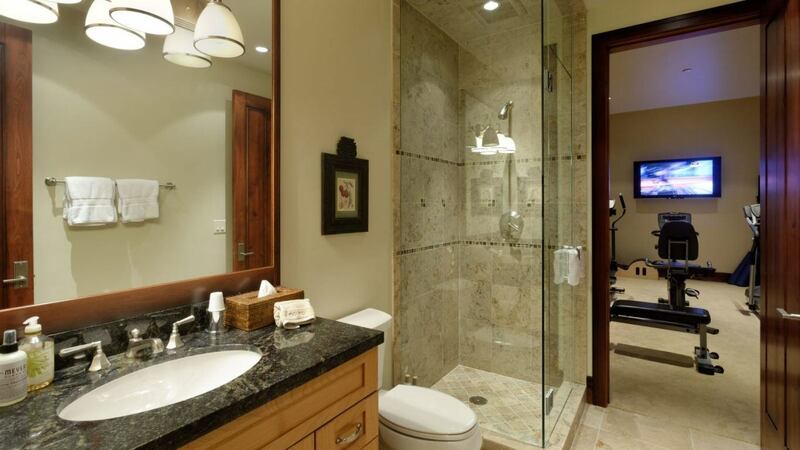 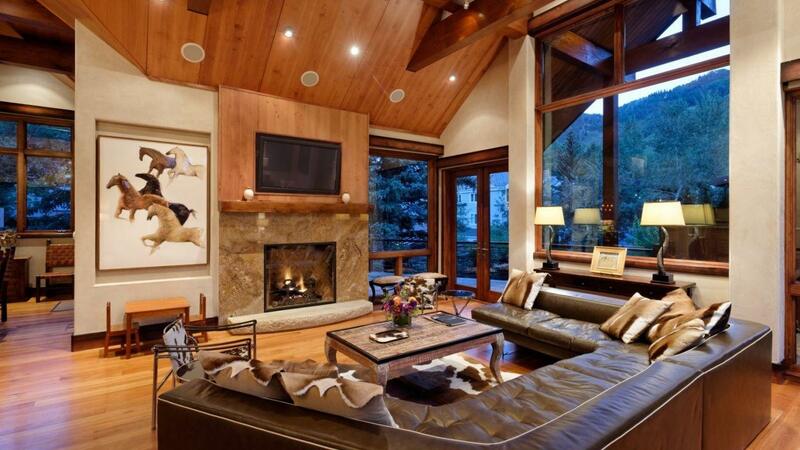 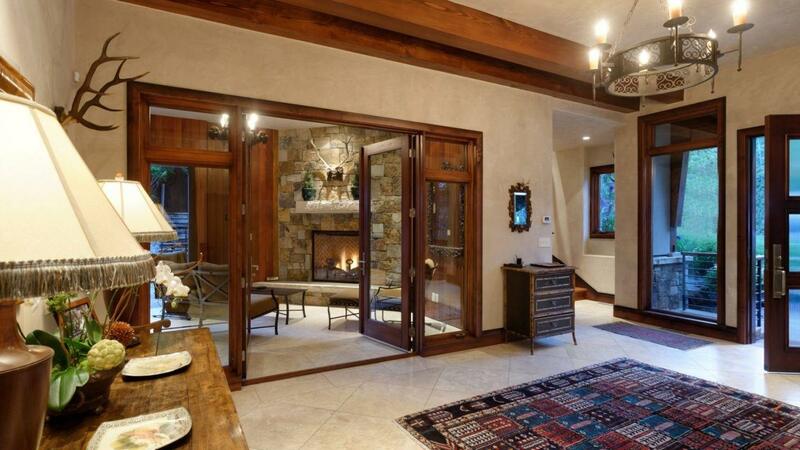 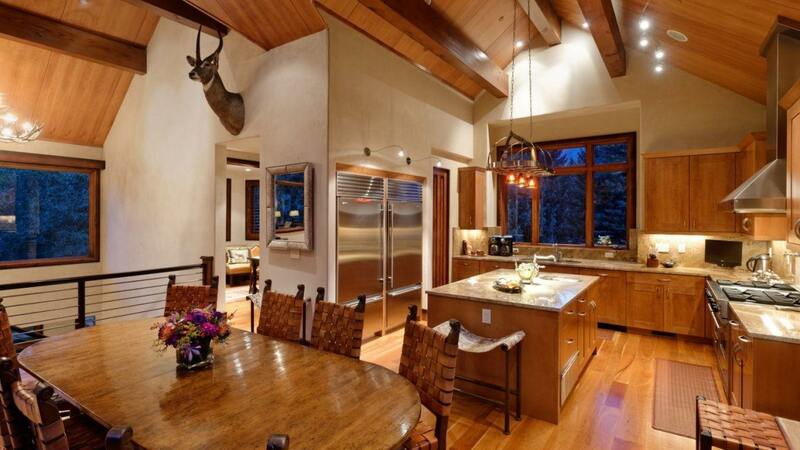 Chalet Maggie is a beautifully decorated home in Aspen, surrounded by tranquil mountains. 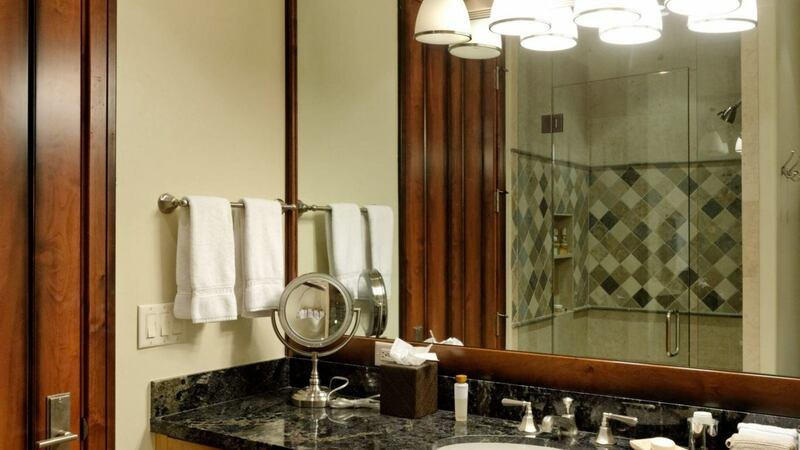 It is located just two blocks from the commercial core across the street from the famed Paepcke Park Gazebo. 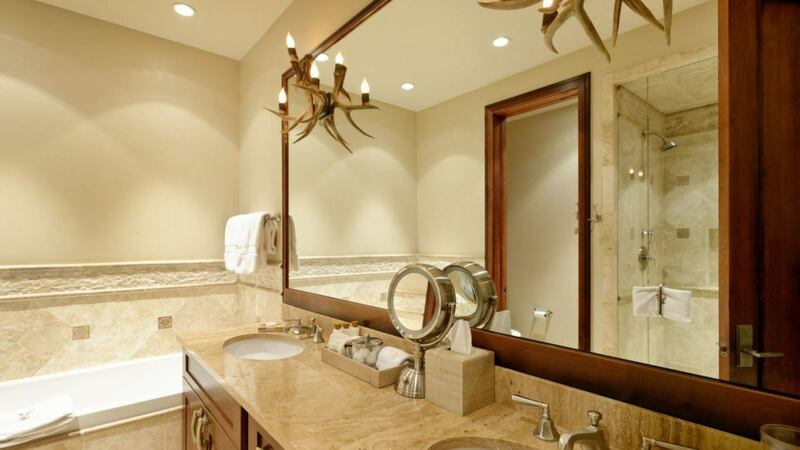 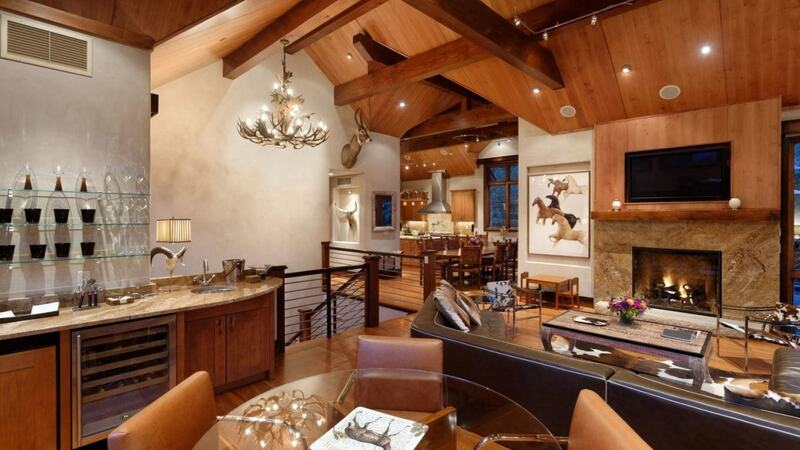 The interior comes with custom antler chandeliers which adds charm to space. 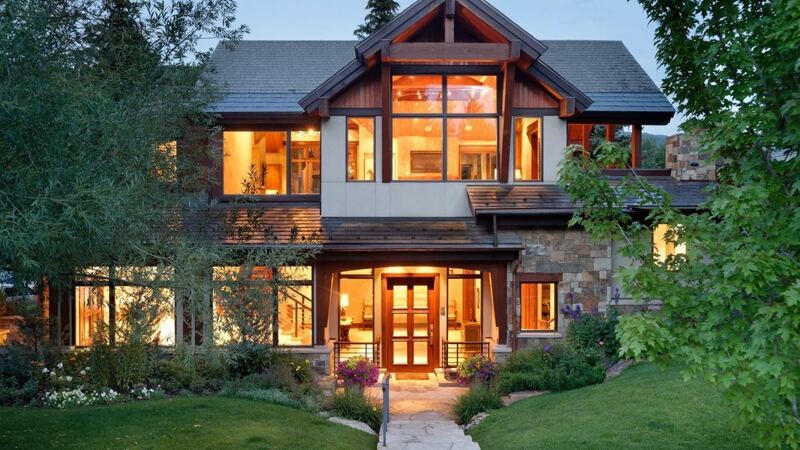 The vaulted living space on the top level of the home offers views of Aspen Mountain, gas fireplace and flat screen television, wet bar with wine cooler, and access to the back deck with BBQ grill.This contemporary home has 6 bedrooms with en-suite bathrooms. 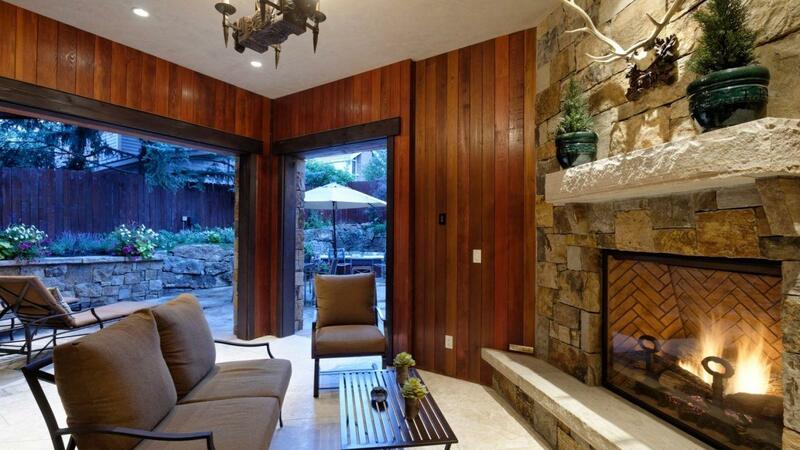 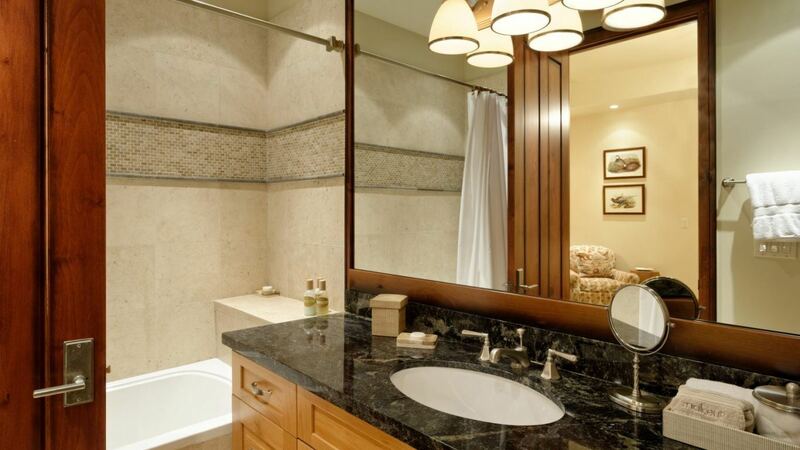 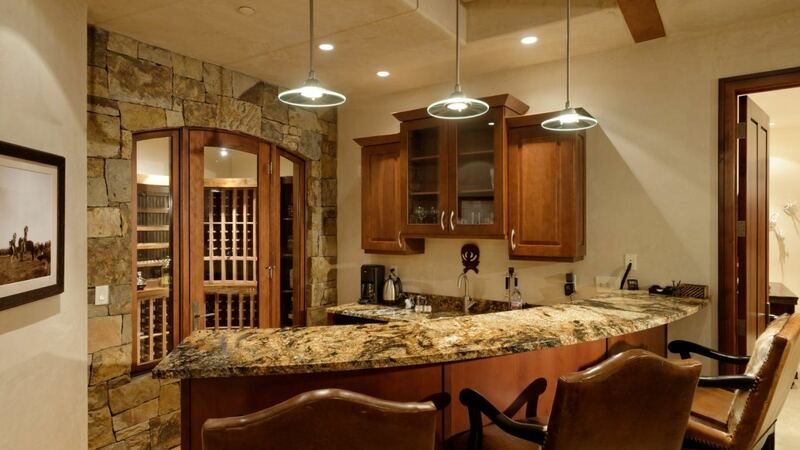 The home is also equipped with a wet bar and a wine room. 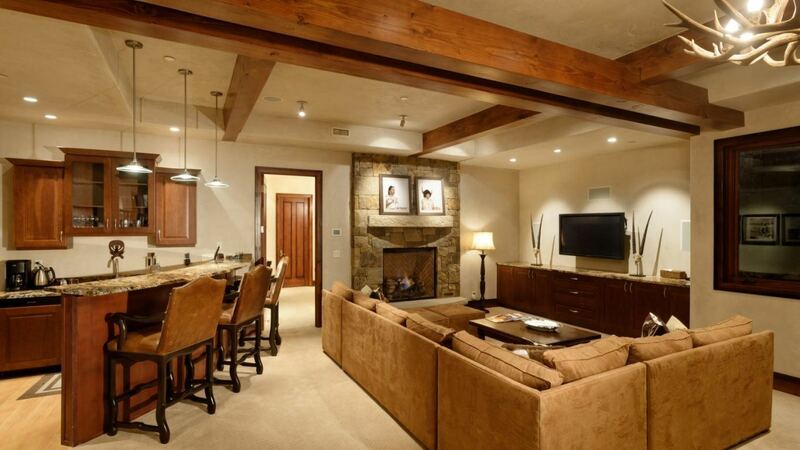 The media room is equipped with a large flat screen television, X-Box, sectional seating, gas fireplace, and games cabinet. 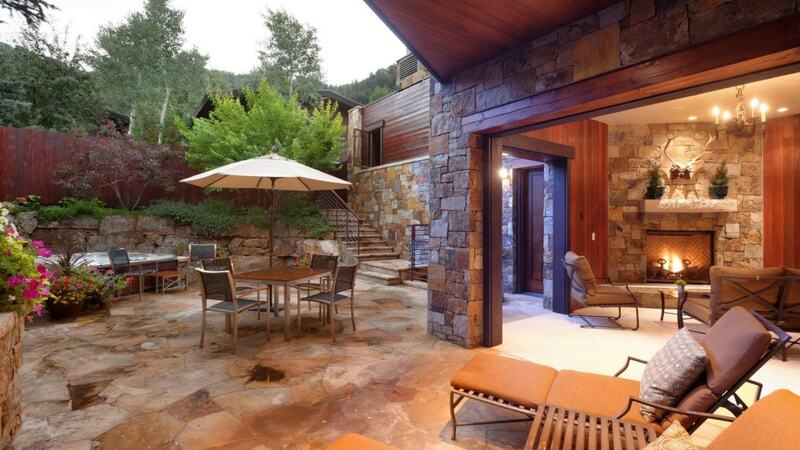 This stunning retreat has an exceptional outdoor space. 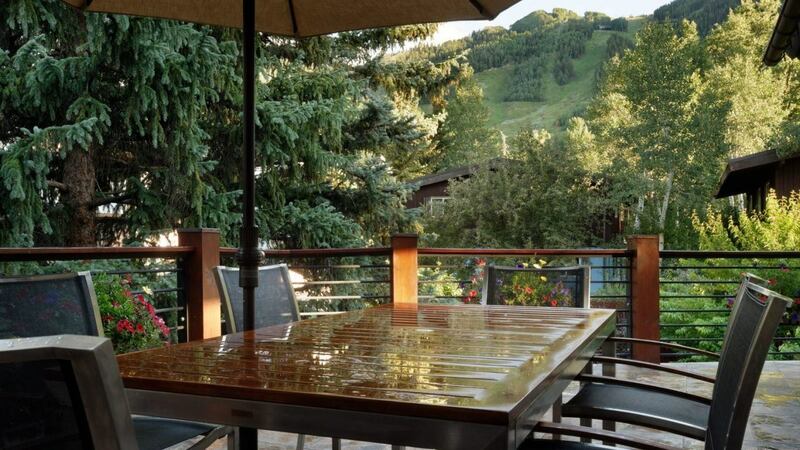 There is a spacious back deck, that is surrounded by greenery to help create privacy, and a barbeque grill great for gatherings. 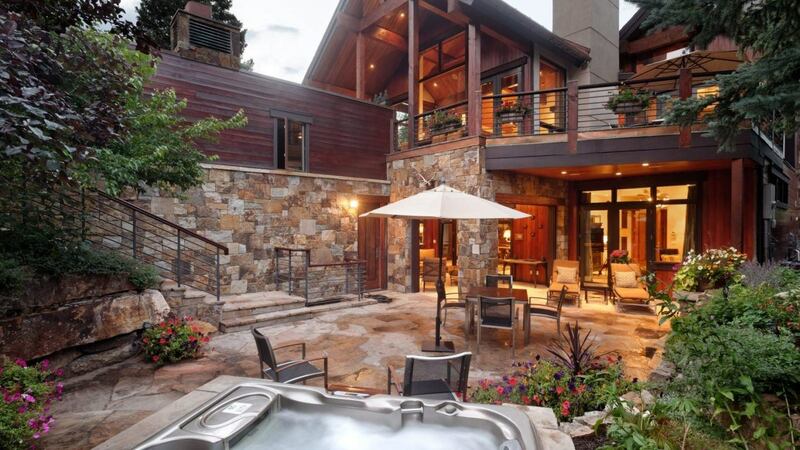 There is also an outdoor hot tub that is the perfect temperature for the chilly mountain nights.